OMG Posters! 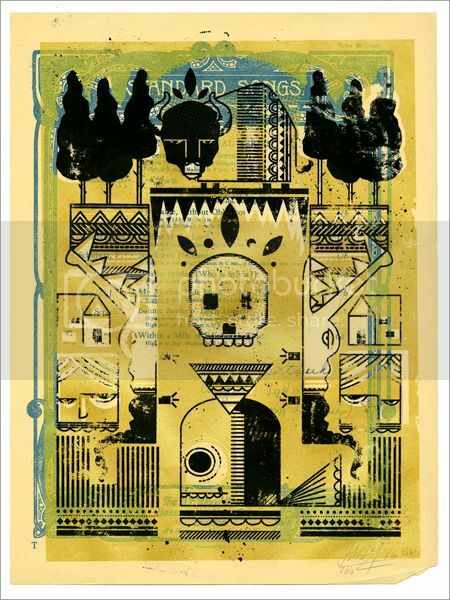 » Archive "Back And Forth" Art Print by Harry Diaz - OMG Posters! 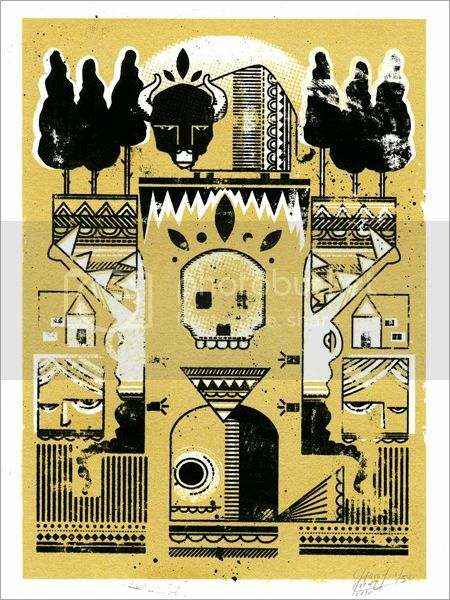 Harry Diaz has another cool new art print out, he seems to be trying a bunch of different styles. 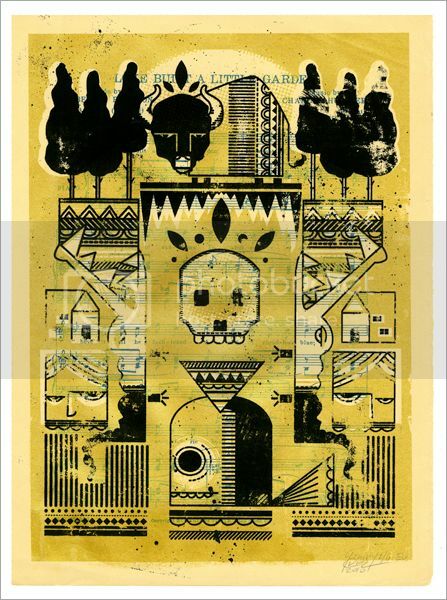 “Back and Forth” is a 9″ x 12″ screenprint, has an edition of 50, and is $15. There are also six copies that were printed on found vintage sheet music for $35 each. Visit HarryDiaz.com.